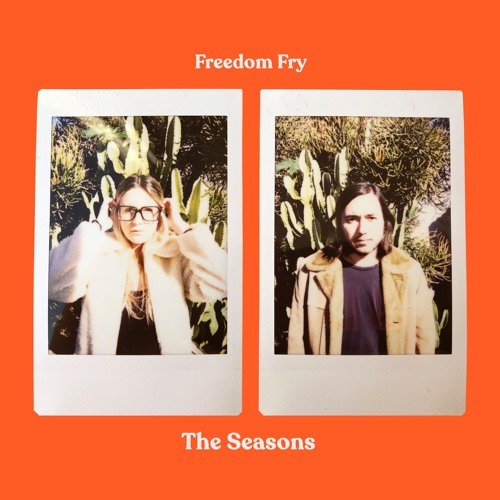 LA-based, French/American, alt-folk duo Freedom Fry are back with a gorgeous new single titled The Seasons, the title track of their upcoming 3-track EP set to arrive on January 25th. This is such an upbeat piece of indie-pop with a highly addictive bass guitar melody that will get stuck to your head in no time. The Seasons is a song about how people's moods change with the weather. I am loving their vocal harmonies and how they create a captivating dreamy atmosphere throughout the song. Listening to The Seasons I get such a feel-good vibe and want to sing along to it. Stream it below!